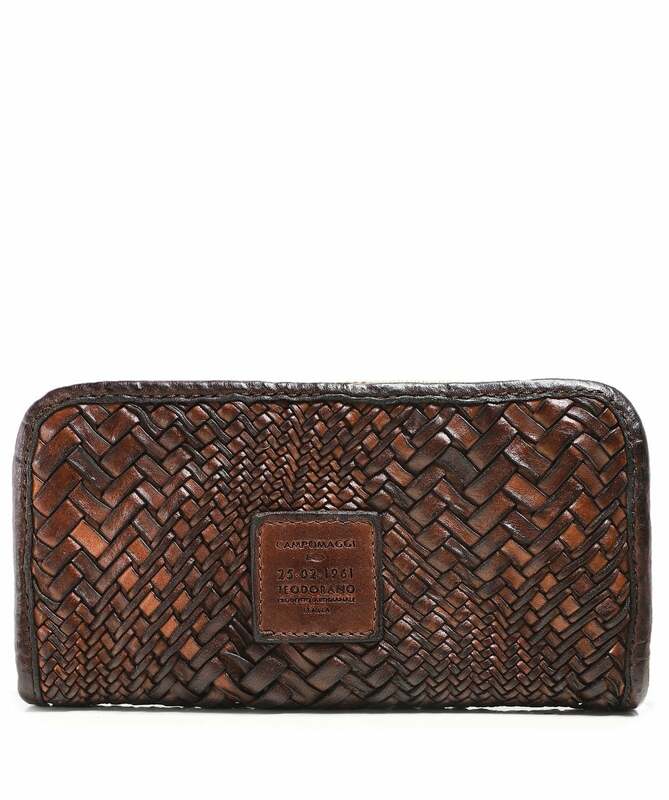 The Campomaggi woven leather zip around purse is a distinctive accessory for your handbag, expertly crafted in Italy from the finest leather with a beautiful woven construction. It boasts a secure zip around closure and has ample room for your cash and cards, with a centre zip compartment, multiple card slots and two slip pockets. With an optical design and branding to the front for an authentic finish, this premium quality wallet is both functional and stylish.